Redmond Key Locksmith is the only brick and mortar locksmith shop in the City of Redmond that can help you with all locksmith needs. We are licensed, bonded, and insured. We are open 7 days a week. We invite you to visit our locksmith kiosk located at 22410 Northeast Marketplace Dr., Redmond, Washington 98053, inside the Chevron Minimart. Call us today at (425) 629-9231. Redmond Key Locksmith offers residential, automotive, commercial, and emergency locksmith services. No matter the locksmith job, we can help. Redmond Key Locksmith offers basic key duplication at our kiosk. Stop by if you need a copy of a house key or a basic conventional mechanical automotive key. We are here to help. We strive to offer you the best locksmith service in the City of Redmond. In addition to our locksmith kiosk, we also offer mobile service 7 days a week from 7 AM – Midnight. Mobile locksmith service is for anything that cannot be completed at our kiosk. Examples include key stuck in your ignition, locked out of your house, lost keys, or in the unfortunate circumstance of a burglary. We strive to dispatch a locksmith technician as quickly as possible to your location. We are here to help. 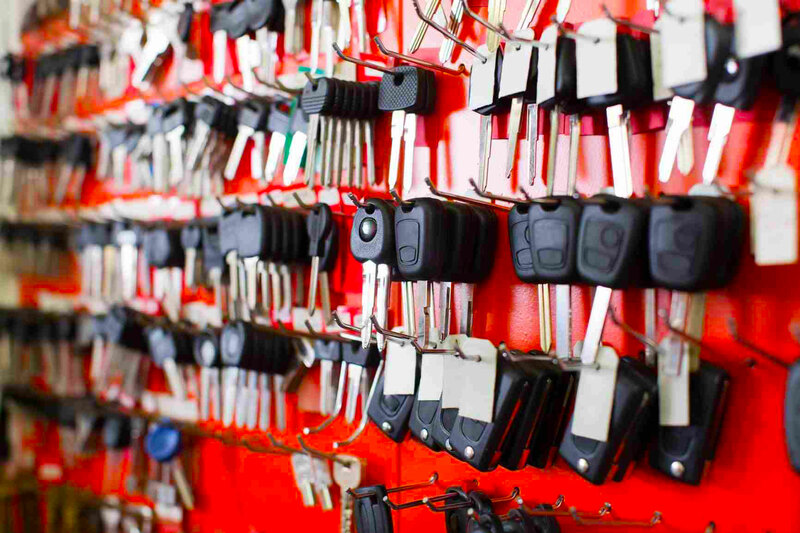 Redmond Key Locksmith offers a vast array of locksmith services for all your needs. Under residential locksmith services, we have the professional experience to install a door jamb for your front entrance, secure your garage side door entrance, and any other doors in your home. Under automotive locksmith services we can cut and program a microchip laser cut on-site based on your VIN. We can also help you get into your car if you are locked out. Another common service we provide is trunk lockouts, which is when you lock your keys in your trunk and there is no trunk release. For commercial locksmith services, we can help re-key your locks if there is an employee change or if you simply need to install a high-security lock or an electronic digital lock with audit trail. We look forward to helping you.